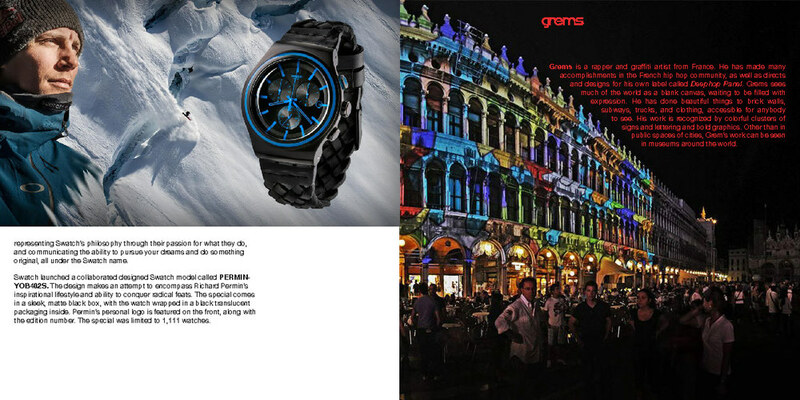 Swatch designs, manufactures, distributes, and sells an extremely large range of watches. Nicholas Hayek, the founder of Swatch, revolutionized the watch industry by providing the "second watch", an affordable, everyday-wear watch. 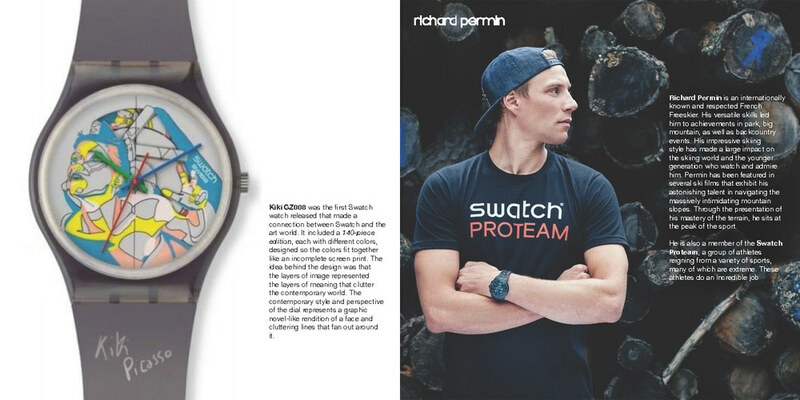 Today Swatch is a house-hold brand that is always sponsoring young, active, and creative cultures. 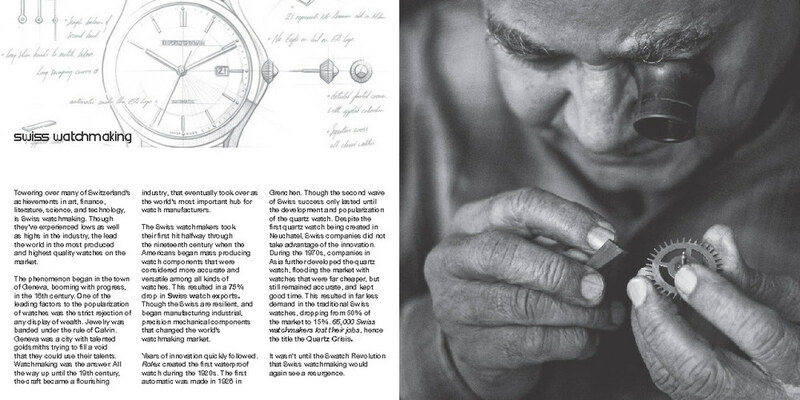 Their involvement in extreme sports, the Olympics, science and technology, and collaborations with artists, have kept them at the forefront of the industry; maintaining the credibility of products that bear the engraving Swiss Made. 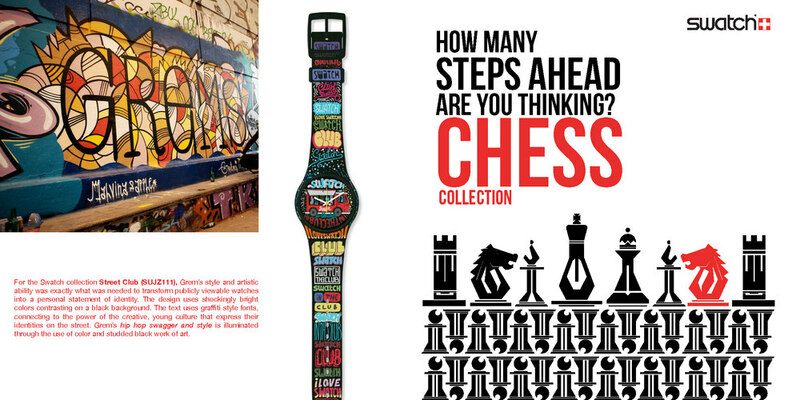 This is a catalog telling the story of Swatch, which also features my own chess inspired Swatch series.